We don’t often do Biblical films at Movie Churches. The only film of that genre I remember writing about is Risen, the story of a Roman soldier charged by Pilate with finding the body of Christ, one of the films we saw in 2016 when we went to the movies (along with going to bars and churches) in a different state every week. For the most part, the films thought of as “religious” or “Christian” have no place on this blog. You might think that doesn’t make sense, but here’s why. 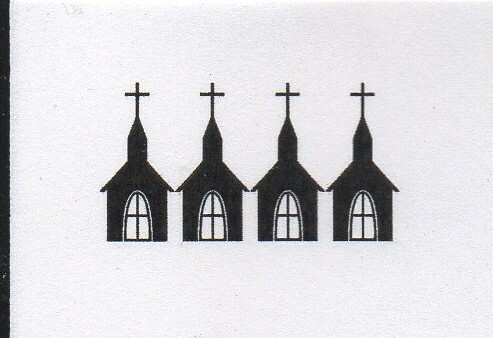 As a rule, this blog is about films that have Christian churches and/or Christian clergy. Internet lists of the best religious films tend to include movies like The Ten Commandments or The Prince of Egypt (both of which I loved), and those will probably never be featured here at Movie Churches because Moses was not a Christian clergyman (neither was his brother, Aaron). The many films about the life of Jesus, from 1927’s King of Kings to 2004’s The Passion of the Christ, don’t feature churches. Jesus’ disciples, the Apostles, are generally part of those movies; they’d go on to be church leaders, but they weren’t yet. In the case of Paul, Apostle of Christ (I think you can guess which Biblical character it’s about), we see an unquestionably Christian clergyman who founded Christian churches. The film also features a Christian church. 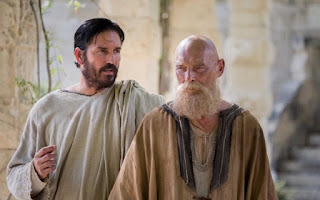 A portion of the Bible (everything after the Gospels in the New Testament) is about the Christian Church, so this film -- a Bible-era story with Biblical characters -- works for Movie Churches. Yay! 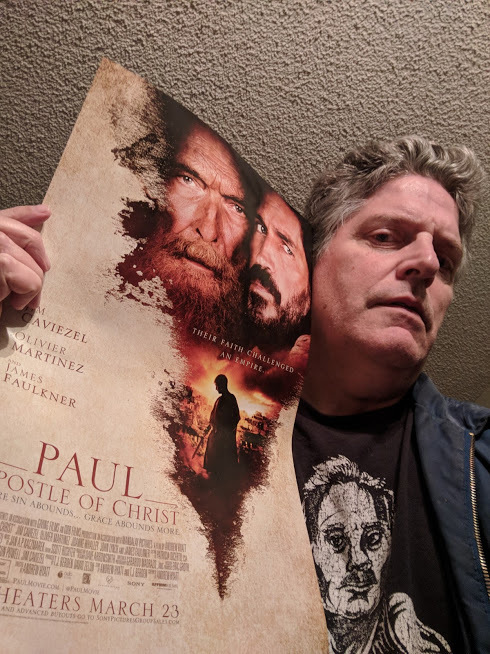 Andrew Hyatt, the writer and director of Paul, Apostle of Christ, decided to tell a fictional story using historical characters. I think it was a good choice. Sometimes, when Biblical text is used for a script, arguments about whether the film accurately depicts the text, distracting from the film itself. It’s not a problem if you start with a fictional episode. In the film, the church of Rome is under assault from Emperor Nero, who accuses the Roman church of burning the city at Paul’s instigation. The fires killed thousands and left thousands more homeless. Historically, it’s likely the fires were probably set by Nero’s orders, but he made Christians the scapegoats. So part of the film’s story focused on whether P & A should stay in Rome or find a way to flee the city. Throughout the film, Paul quotes from his own many epistles, especially his greatest hits -- like the Love Passage of I Corinthians (also used in a many a wedding). At one point Paul says, “To live is Christ and to die is gain,” and Luke lauds the phrase. Paul urges him to write it down.